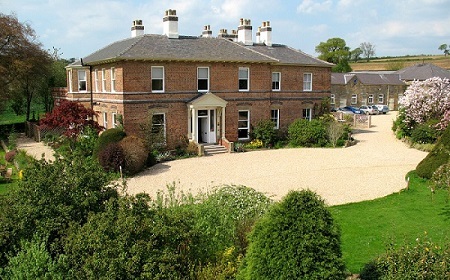 Shottle Hall is set in the heart of the Derbyshire countryside. Its idyllic location makes it one of the most sort after wedding locations in Derbyshire. We installed an ETA HACK 220 kW wood pellet boiler and 4400 ltr buffer tank with ETA Tronic integrated control system. C.H. Middleton Ltd are one of Yorkshire’s leading privately owned Waste Management companies. 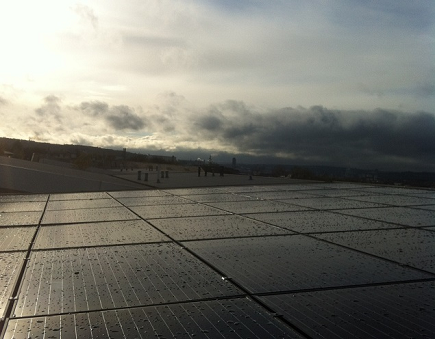 We installed 44 black JA Solar Mono panels 270 watts, along with a sami solar TL12000 inverter. Chapel Allerton Tennis and Squash Club is set just outside Leeds city centre and has 1900 members. 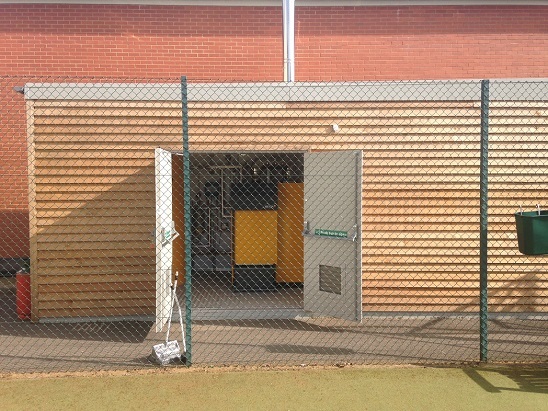 We installed a 90 Kw biomass boiler in a cladded self-contained pod, providing heat and hot water to the clubhouse. 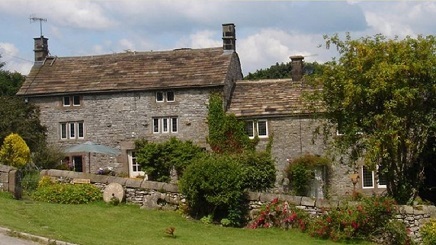 Lydgate Farm is an attractive 16th century listed guest house with 3 ensuite bedrooms. 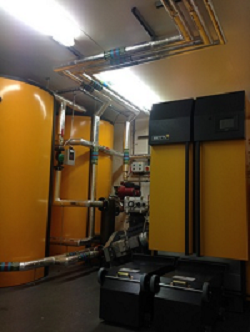 We installed ETA PC 32KW pellet Biomass Boiler, along with a 1000ltr buffer tank, with ETA control panel. Dorlec Ltd are a major Turnkey company based in Chesterfield. The company operates from its 20,000 sq ft facility at Clay Cross. We installed an ETA HACK 199kW Biomass Boiler, along with a 2200 Ltr Buffer tank, 35 tonne Silo and remote monitoring control system. City taxis are one of the largest taxi companies within Sheffield,. They wanted to save costs on energy bills and generate an extra income from the FIT tariff. 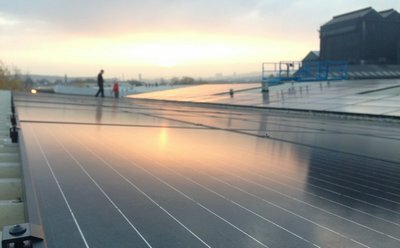 We installed a 50 KW Solar PV system, along the south facing roof of their office building. Formerly part of the Chatsworth Estate, Elmton Lodge is based in a rural location in Derbyshire. 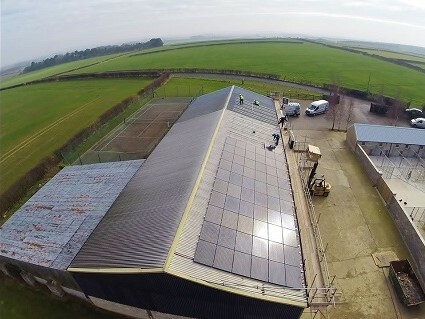 We installed a 90 kW ETA Biomass Boiler, and a 35 kW Solar Pv System, to generate heat and electricity.